One of the challenges facing primary care providers is how and when to safely prescribe opioids for chronic non-cancer pain. The CDC has recently released their set of opioid prescribing guidelines. This guideline is comprehensive and anyone who precribes opioids should take the time to read it, but it is hardly a point of care tool. Furthermore, the guideline has generated a great deal of controversy in the press. Most opioid prescribing apps currently available focus solely on equivalence dosing which is frequently performed to avoid unwanted side effects of one drug or for a more preferred route of administration (converting a patient from IV to PO or to transdermal). If done improperly, the results can be catastrophic with either opioid withdrawal or worse respiratory depression/overdose. Here on iMedicalApps we previously found that many of the available opioid conversion calculators lacked consistency. Some apps such as Opioid Risk Tool contained excellent information, but were implemented poorly leading to difficulty just inputting doses of meds. eOpioid on the other hand appeared to be an orphaned app with a steep learning curve. One of the best opioid conversion apps we have found is Opioid Calculator. We recently reviewed Safe Opioids which was supported by a grant from the U.S. Substance Abuse and Mental Health Services Administration (SAMHSA). The medical app included information on assessment of pain, screening for depression and risk of abuse, but was crippled by outdated information and non-functioning links. The latest entry to the opioid conversion app group is pH-Medical Opioid Converter. This Opioid converter app contains a calculator for both equivalence dosing and opioid to opioid conversion as well as guideline based information for conducting a safe opioid drug trial on patients with chronic non-cancer pain. Login to iMedicalApps in order to view the following video review of Opioid Converter. 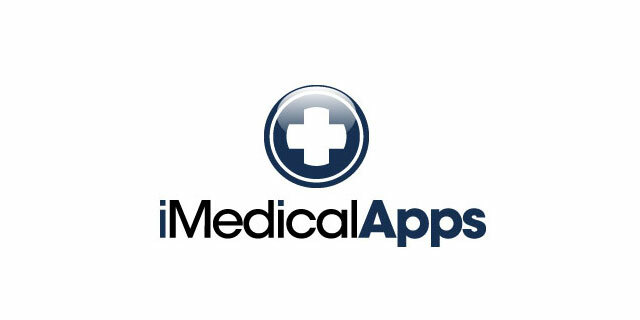 Registration for iMedicalApps is free. The information in the app store claims the Opioid converter app is based on both Canadian and US pain guidelines. The medical app includes a link to the CDC opioid guideline, but no links are given regarding the particular Canadian guideline. It would be helpful to have more information about the author and/or company behind the opioid converter app app. The material included is very helpful and appears accurate and relevant for those prescribing opioids for chronic non-cancer pain. Who would benefit from this Medical App? Simple to use interface for both built-in calculators on morphine equivalence and opioid to opioid conversion. Helpful information on opioid prescribing from starting them to stopping them. Includes prescribing information on many different opioids. Includes link to the PDF of the new CDC opioid guideline. No information on author, references (other than CDC guideline) or method for feedback. PDF of CDC guideline not build into app; need internet connection. Opioid Converter is the best app I have used yet for ease of use for opioid conversion/equivalence dosing and helpful information on opioid prescribing. The medical app’s interface is slightly easier to use than my prior favorite Opioid Calculator and it contains some of the helpful information found in the Safe Opioids app. It does include information on the new CDC guideline and links to that reference. Unfortunately, there isn’t anything else to justify its $1.99 price compared to the competition. You may want to try Opioid Calculator and if you can’t get the hang of the interface and price isn’t an issue, then give Opioid Converter a try. Perhaps the CDC will release a helpful opioid app in addition to all the other helpful medical apps they have soon. Excellent interface design and ease of use for both equivalence dosing and opioid conversion calculators. Medical App includes a link to the PDF of the new CDC opioid guideline, but no other links or multimedia materials. Medical App is a $1.99; Opioid Calculator and Safe Opioids are free. Another great option along with Opioid Calculator, Opioid Converter is the easiest to use of opioid conversion apps I have tried and contains abundant tips for safe opioid use similar to that found in Safe Opioids. The app contains a link to the recent CDC guidelines on chronic opioid use making it the go to opioid app at this time. Great app! I downloaded it after seeing the review and I couldn’t be happier with it. The app is the best morphine equivalence calculator that I have owned. It is easy to use, well laid out, and very useful in my pain management clinic. I really like the fact that it uses and references the new CDC 2016 guidelines on opioid prescribing to help prescribers learn how to safely use opioids. The information on how to perform an opioid trial for pain management is well done and provides good guidance for the busy physician. The use of the color coded messaging for progressively higher and potentially unsafe morphine doses is a great visual reminder to the prescriber on how to use opioids appropriately. I have recommended the app to my colleagues and have found it to be a good teaching tool for the medical residents.